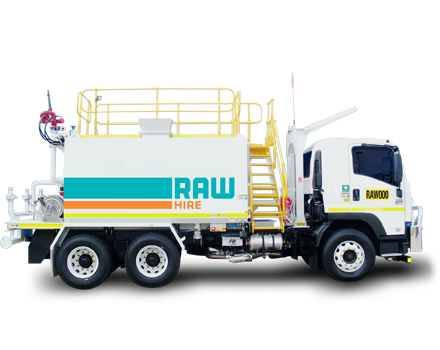 Ideal for dust suppression and major road works, the water cart or water truck is ideal for projects requiring water transport including mining, construction and government projects. The custom built truck includes a dribble bar with gravity feed, water cannon and can hold fifteen thousand litres of water. Accessories: CD Player, MP3 Compatible, AM/FM Radio, Air Conditioning, Dual Airbags, 15,000L Tank Capacity, Magnum Water Cannon (Cab Controlled), 3” Hydraulically Driven End Suction Centrifugal Pump, 3 x Rear Sprays, Dribble Abr – Gravity Fed, Fire Hose Reel, 4” Ball Valve for Drainage, 3 Point Tray Access LHS.